We all love our pets. Unfortunately, having an indoor pet can sometimes mean stains and odors in your carpet. At Evergreen, it’s our mission to bring superior carpet cleaning and exceptional customer service to your home. You should never feel embarrassed to have company over because of pet-related odors. Our pet odor removal service will help you maintain a fresh, stain-free carpet. In addition, it can reduce allergens which can be harmful to your health. We hire only the best in the business to clean your home. Our experienced, professional technicians know the ins and outs of the industry. 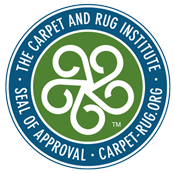 They’re trained not only in carpet cleaning, but in excellent customer service to make you feel comfortable every step of the way. Our cleaning solutions are all safe for household use, so you won’t have to worry about your precious pets or children inhaling dangerous fumes. Whether your carpet is in need of light washing and deodorizing or a deep clean for severe stains and odors, we have the equipment and the cleaning solutions to leave it spotless and fresh. Here at Evergreen, we stand out amongst our competitors for our effective cleaning services and excellent customer service. We pride ourselves in leaving your home and carpet clean and refreshed, giving you the peace of mind that comes with having a clean home.